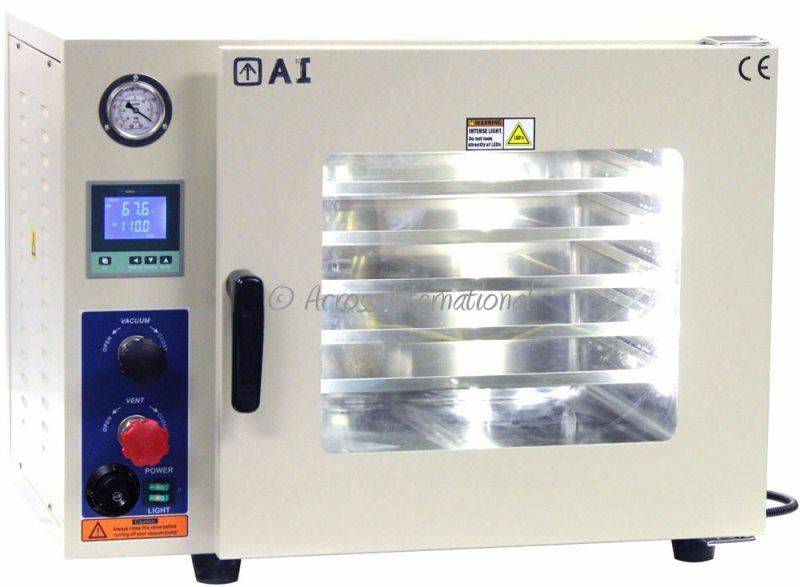 Introducing the new Ai AccuTemp 1.9 cubic foot vacuum ovens (110V only), come standard with stainless steel tubing, stainless steel vacuum & vent valve, oil-filled vacuum gauge, 5 sided pad heating technology and two year warranty. 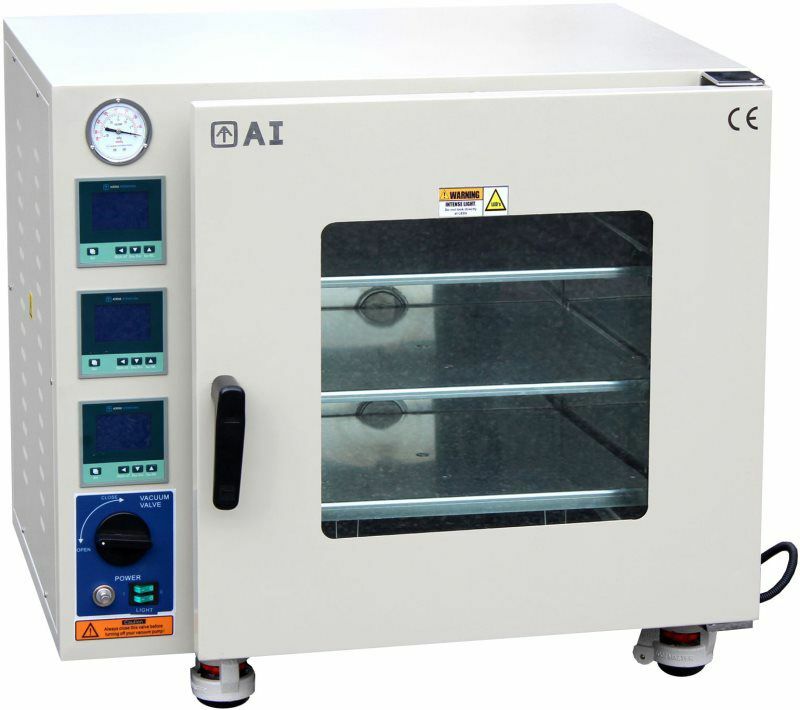 The thermal-conductive aluminum pan shelves provide excellent temperature uniformity inside the chamber, while standard is the 3rd gen LCD low proportional gain temperature controllers keep your oven temperature within +/- 1°F accuracy, in either °F or °C. 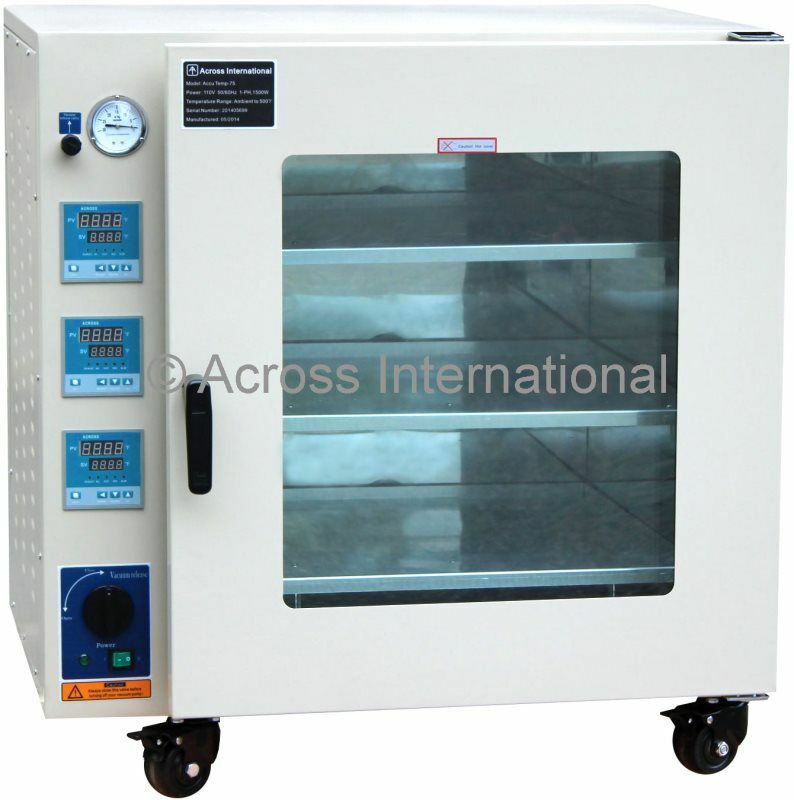 The AccuTemp-32 digital floor-stand vacuum oven features 3 heating shelves, 3.2 cubic feet easy-to-clean stainless steel chamber with a large tempered glass safety window. 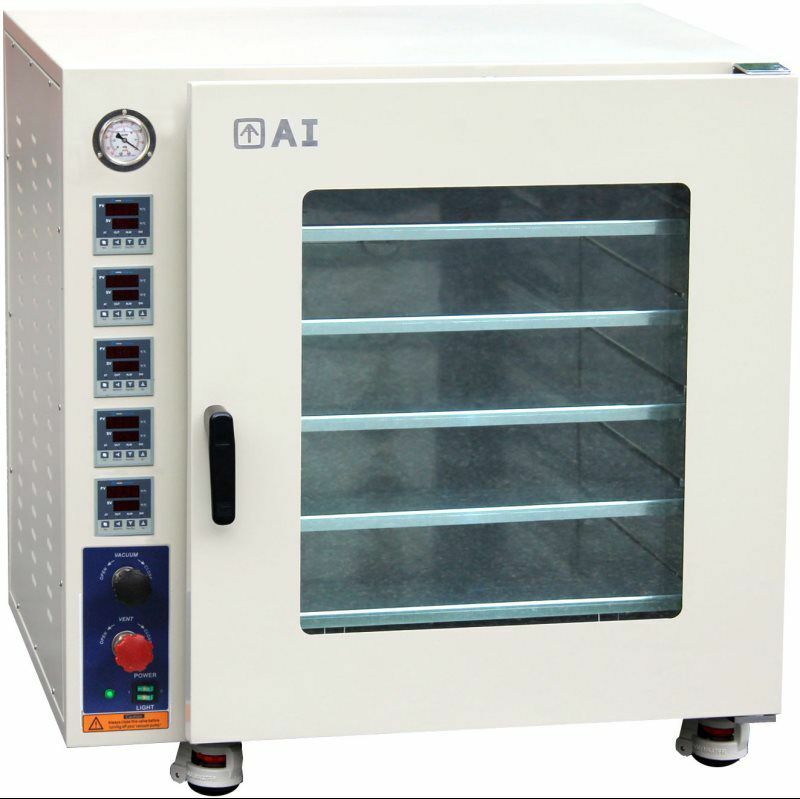 With our new internal shelf heating technology, each shelf in these ovens has its own heater, in-shelf temperature sensor and temperature controller, together with great thermal-conductive aluminum and our new low proportional controller technologies, the result is perfect uniformity, accurate temperature, super fast heating rates, minimum heat loss/exterior temperature and very low power consumption. 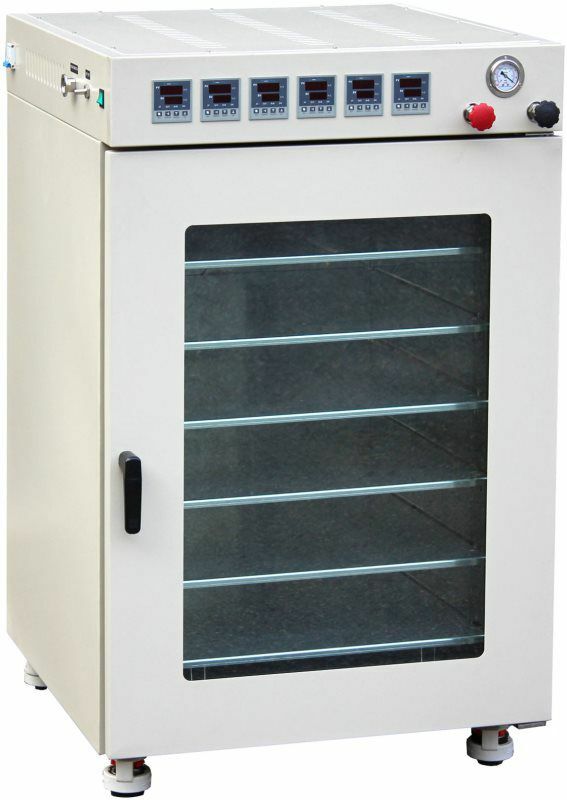 Three alumimum heating shelves with individual in-shelf temperature sensor, temperature controller and heater. Dual layer observation window with 5/8" tempered safety glass. Built-in vacuum gauges and circuit breaker. All ovens shipped from our New Jersey or Nevada location for quick delivery, and come with one year warranty and lifetime US-based parts and service support. 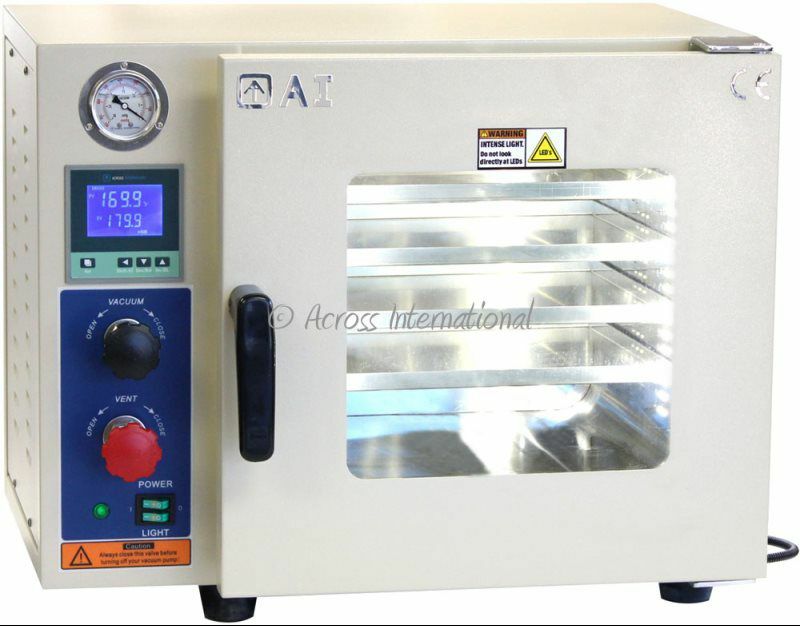 The Across International AccuTemp-75 series digital vacuum oven features a gigantic 7.5 cubic feet easy-to-clean stainless steel chamber with a large 3/4" tempered glass safety window. With our new internal shelf heating technology, each shelf in these ovens has its own heater, in-shelf temperature sensor and temperature controller, together with great thermal-conductive aluminum and our new low proportional controller technologies, the result is perfect uniformity, accurate temperature, super-fast heating rates, minimum heat loss/exterior temperature and very low power consumption. Three thermo-conductive aluminum heated shelves with individual in-shelf temperature sensor, heater and digital temperature controller. 3rd gen LCD low proportional gain temperature controllers keep your oven temperature within +/- 1°F accuracy, in either °F or °C. Adjustable-force latch and one-piece door sealing gasket maintain consistent vacuum level. Advanced PID controls decrease the heating time up to 50% compared to traditional drying ovens. Built-in swivel casters with locks for ultra-portability.